Transalpine Redemptorists at home: Tuesday of the Fourth Week of Lent. Thursday after the Fourth Sunday of Lent. Wednesday after the Fourth Week of Lent. Tuesday of the Fourth Week of Lent. Monday after the Fourth Sunday in Lent. Friday after the Third Sunday in Lent. Station at St. Lawrence in the House of St. Damasus. 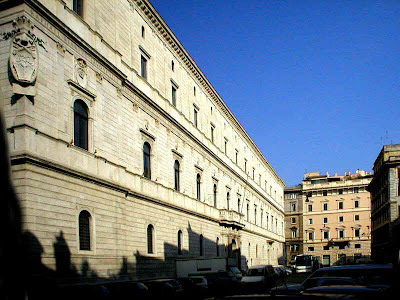 the Roman Rota, Apostolic Signatura, and Apostolic Penitentiary. and where he himself had begun his own. It is therefore full of memories connected with his family. in the Portico ceiling of St Peter's Basilica. Natus qui antistes Sedis Apostolicae. Who is born the bishop of the Apostolic See. 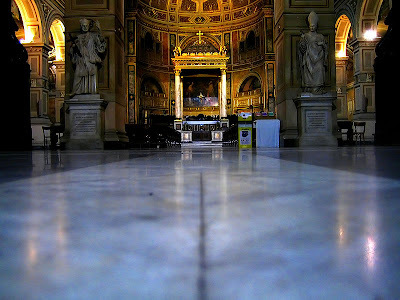 Under the high altar of the stational basilica rest the sacred relics of its founder. relates the rebellion of the Israelites against Moses. until the middle of the paschal season. "...and he put a new canticle into my mouth, a song to our God." What is this new canticle of praise? the Eucharistia of the New Testament in the blood of Christ. have mercy upon me according to Thy great mercy. and beseech Thee to add to the years of my life. but He that is God of all? 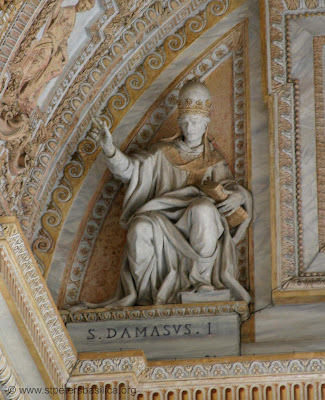 May holy Pope St Damasus pray for us that we may truly appreciate this New Canticle, the Eucharistic Prayer, the Holy Mass - the very Passion and Death of Our Lord Jesus Christ!